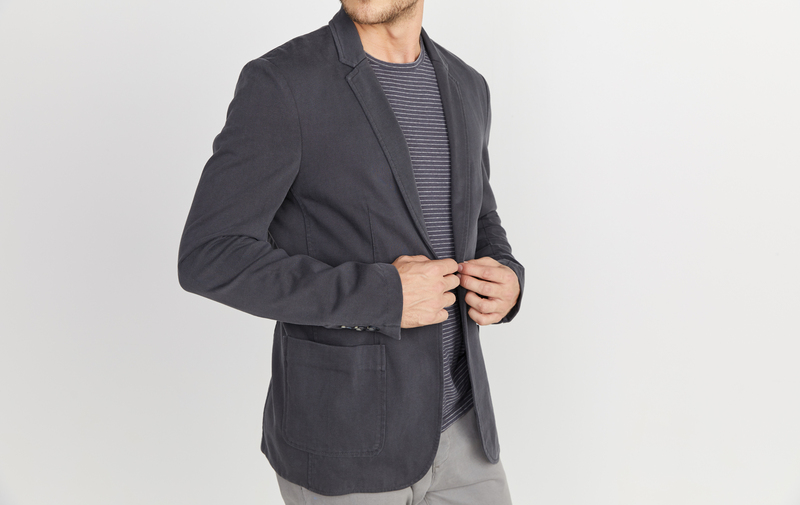 All the best things about a blazer and all the best things about our sweatshirt are now combined into this trailblazing blazer. 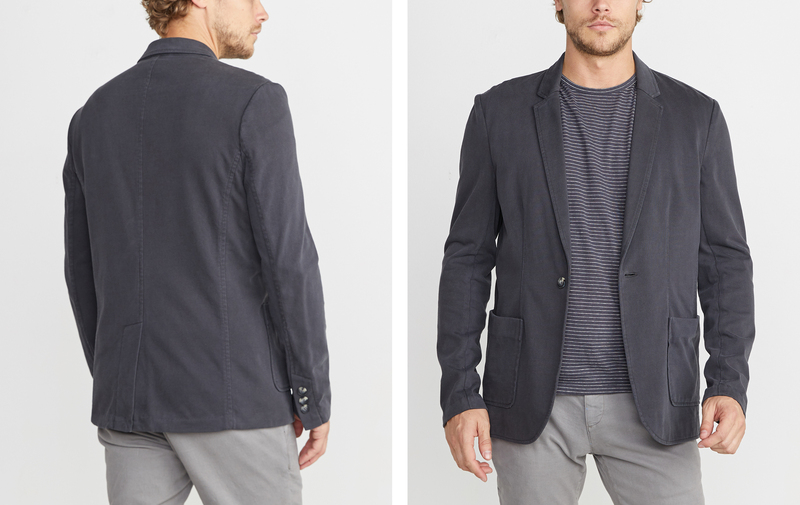 We've updated our classic sweatshirt blazer with new stitching and a lighter-weight fabric for fall. Clean-finish seams make this look fancy and modern, but the hidden pockets and jersey lining make it casual (and a little James-Bond-ish). Made with heavyweight jersey that's been pigment-dyed for a soft, faded feel.